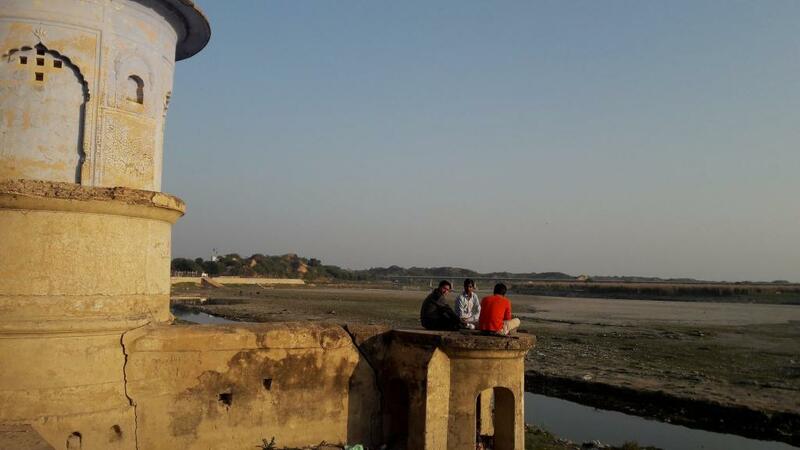 The Art of Living’s three-day cultural festival in March 2016 destroyed the entire floodplain area between DND flyover and the Barapulla drain used during the event, according to the expert panel appointed by the National Green Tribunal (NGT). The committee, headed by Shashi Shekhar, secretary of Ministry of Water Resources, submitted its report to NGT on March 12. According to the panel’s estimate, rehabilitation of Yamuna floodplains will cost more than Rs 42 crore and at least 10 years. The AOL Foundation has, however, called the committee report “flawed, unscientific and biased”. The report estimates that a total of about 180 hectares (about 420 acres) of floodplains of the Yamuna have been affected ecologically at different magnitudes. The seven-member committee also submitted a time-bound action plan for physical and biological rehabilitation of the affected floodplain. The physical component is estimated to cost around Rs 28.73 crore and the biological part would cost around Rs 13.29 crore. When it comes to biological rehabilitation, the panel suggested development of catchment areas and stimulation of natural topography of the floodplains. For physical rehabilitation, the panel has proposed rejuvenation of soil in the area by de-compacting, removal of stones and construction of embankments along roadsides. It suggested that the rehabilitation costs be divided between the Art of Living and other agencies, as the NGT deems fit. In an official statement released today, the AOL Foundation highlighted “inconsistencies and falsehoods” of the NGT committee. The statement reads: “From randomly pronouncing damages for Rs 120 crore, they have come down to Rs 13 crore; from permanent damage they are now saying 10 years. From damage to wetlands they are now saying damage to floodplains. Their inconsistencies expose their lies”. Pointing out that the report has not been signed by Shashi Shekhar and Brij Gopal, the AOL Foundation’s official statement questioned how a committee can submit its report without the consent of its Chairman. This was the last of several reports submitted by the committee and the NGT is likely to take a call on it at its next hearing on April 20.